If you are a Realtor®, then you know how important it is to not only obtain your real estate license, but to also keep it current. In fact, selling or leasing real estate without a license is a crime! 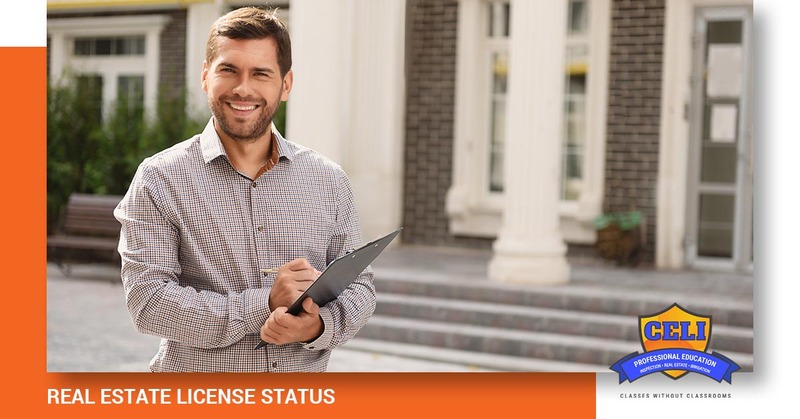 At Continuing Education for Licensing, we know that is not something that you want to have happen, which is why we will look at the type of status you may currently hold, as well as some of the things you need to address in order to renew your real estate license. While most states have similar expectations in their requirements, each state is unique, and you must follow their specifications for licensure. If you are new to the field of real estate, or simply in need of a real estate license renewal, then we can help. Call today and learn how easy it is to register for our real estate licensing classes. If you left the field of real estate for a while, you may have returned to discover that your license is no longer valid. Most states require that real estate agents renew their licenses by completing continuing education classes, clearing a criminal background check, and passing real estate tests about every two years. If you have kept up with these requirements, then your license is most likely considered active. If, however, these courses are not completed, then you run the risk of your license being declared inactive or even forfeit. There are two types of inactive licenses — voluntary inactive and involuntary inactive. Voluntary inactive refers to someone who has qualified for a license but voluntarily chose not to engage in the real estate business during a given period, and request that this change is placed on voluntary inactive status. Involuntary inactive refers to a person who fails to renew either an active or voluntary inactive status before the expiration date. When this happens, they will then be required to complete continuing education courses and renew their license within the next two years. With involuntary inactive status, you will be given no more than two years to complete the requirements to achieve active or voluntary inactive status. After that period of time, the license automatically expires. 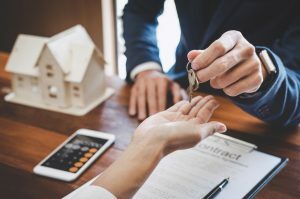 If you are currently practicing real estate and have renewed your license at least once, then you should check the requirements for an active sales agent. Your license renewal will be slightly different from someone who is newer to the field. In the state of Texas, you will need to complete a number of hours of approved continuing education courses that are specific to your daily obligations. For example, if you have been made a supervisor by your broker, then you will most likely need to take a course on Broker Responsibility in addition to the courses for real estate agents. Fingerprints will also need to be submitted for a criminal background check if you have not previously submitted them with an application or previous renewal. At Continuing Education for Licensing, we know all of the requirements that you will need to meet, so call today and let us help you with your real estate license renewal process. The real estate business is a very rewarding business to be a part of and Continuing Education for Licensing wants to help you find the courses you need to renew your Realtor’s® license so that you can maintain your active status. Call today to speak with one of our professional consultants and get the help you need to learn which courses you should take to achieve your real estate license renewal.